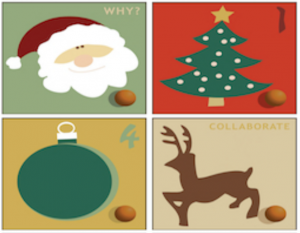 In this case study, Chris Rowell and Andy Horton tell us about the Twelve Apps of Christmas, a course intended to reach HE academics and educators to promote engagement with free mobile apps which can be used in the classroom. A range of apps would be introduced, with participants learning how to use them and opening a dialogue about their value in education. The course was run in December 2014, based around the structure of an advent calendar. Each day a new app was presented, which participants would download then use to complete a short, simple task. Each day’s activities were supported by a discussion board for each app, optional longer tasks, and supporting materials. In order to reach and engage with an audience who are often busy and short of time, we kept each day’s content brief and manageable, and structured the course to be modular – a participant could miss, or choose to skip, parts if they wished. The course was run on Blackboard Open Education, the open version of the virtual learning environment supported at Regent’s. 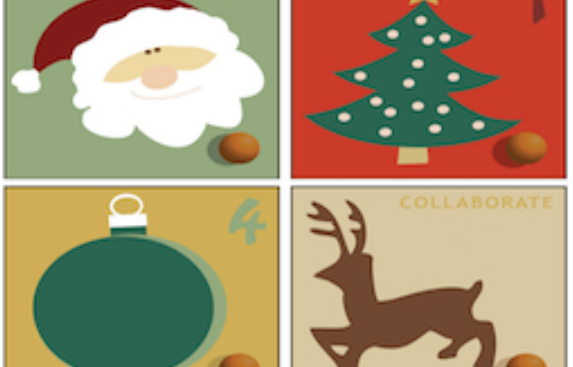 12 Apps of Christmas is available under a Creative Commons Licence (CC BY NC SA) so it is free to take, use and adapt for non-commercial purposes if you acknowledge the source and share your version under the same licence. A small team (four learning technologists and one librarian) was involved in developing the course. Apart from familiarity with Blackboard Open Education, each person produced the content for one or more of the apps and so required knowledge of those they were “sponsoring”. Being run by a team of our institution’s staff, selected for interest in social media and mobile technology, there was no need for additional cost or training. However, as this project was in addition to our regular work, we did need to obtain permission from our managers to spend the necessary staff time to make it a success. It proved a success, with 550 participants worldwide signed up within the first days of the course. Feedback from the discussion boards showed that we had achieved the goals of reaching busy educators and creating a genuine discussion about the technologies: “It’s a bit like a conference… the presentations are needed to generate the discussion”. 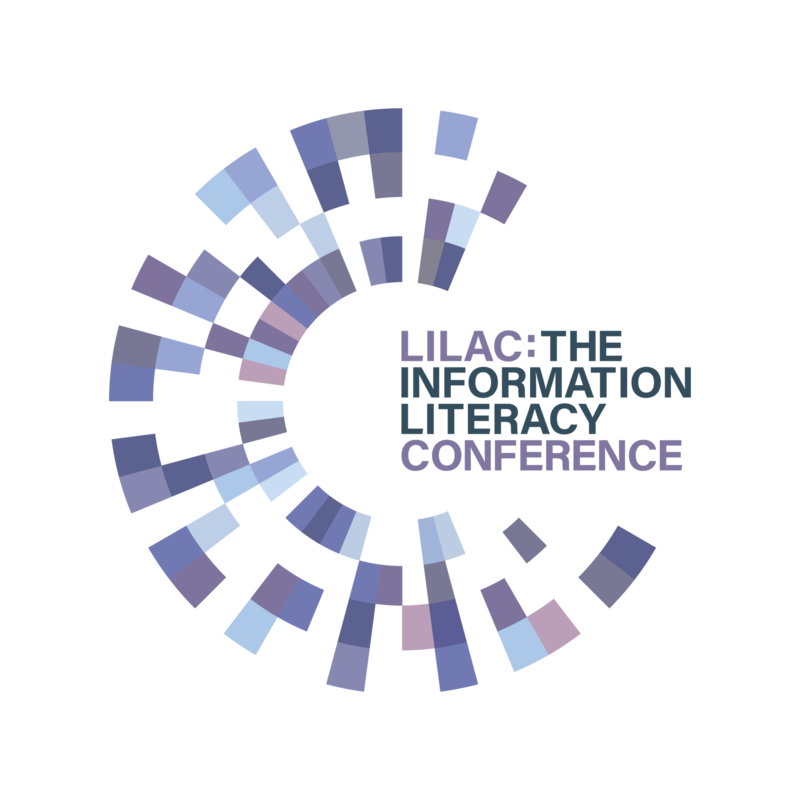 We were delighted when we won the recognition of the IL community for winning the Credo Digital Information Literacy award at LILAC 2015. The judges recognised the elements we were most proud of – transferability, and making the course fun for participants. 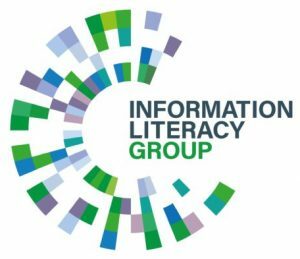 We have presented on Twelve Apps at the 2015 CILIP national library conference, and at the Open Education Conference OER15, and have been informed that the success of the course and the external recognition it achieved was a factor in our department, Learning Resources, being given the award for innovation at our annual staff conference. Dublin Institute of Technology has already run a version of the course, with some success. We are planning on running it again this December, with a new range of apps. Moreover, the basic structure – modular, with manageable chunks of daily content – is adaptable and we have plans to use it for other courses at Regent’s. The 12AOC resource is openly available to reuse under a Creative Commons licence (to access 12AOC click on the Enrol button and create a new account).